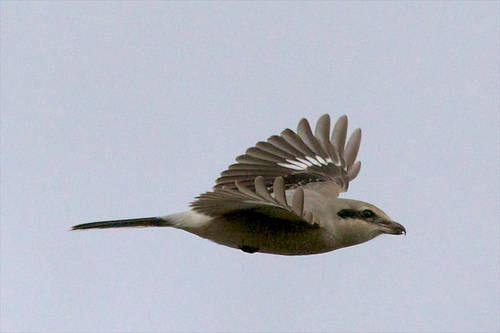 The Great Grey Shrike is a songbird with a hooked beak. Not only insects, but also mice, birds, and lizards are eaten and sometimes pinned on a thorn or twig to save for later. 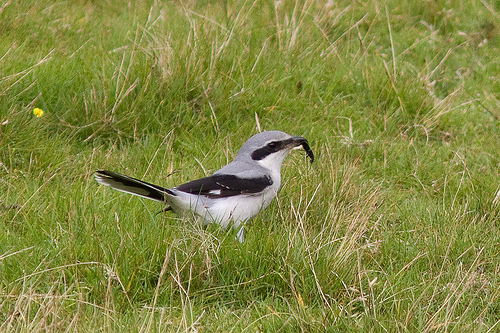 The Great Grey Shrike is grey with black, the Red-backed Shrike has brown colours.